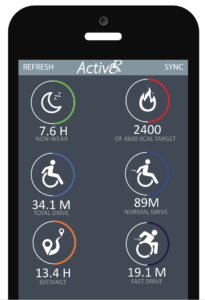 WheelActiv8 is a total activity monitoring platform for wheelchair users. 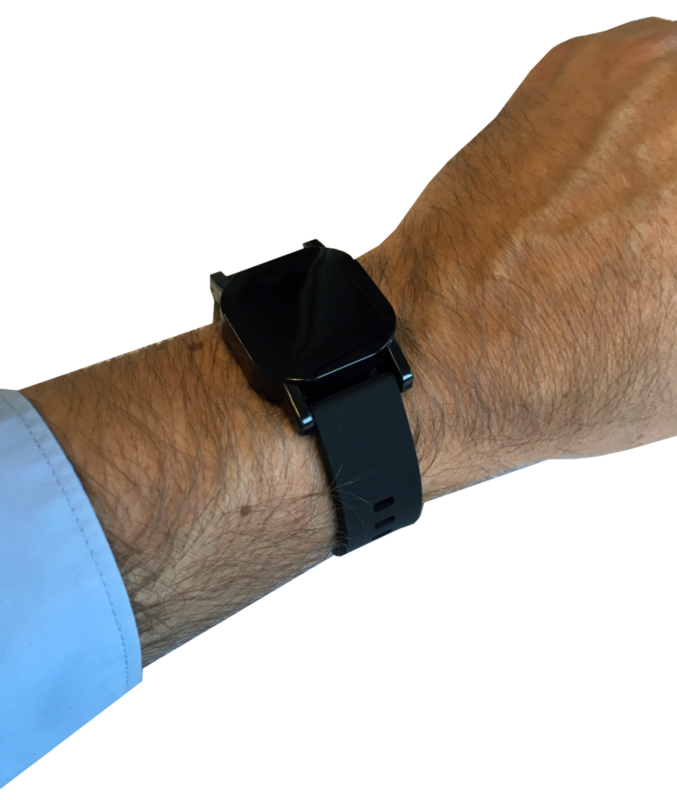 The A8100 wheelchair activity tracker is composed of two sensor units: one on the wheel and the other on the wrist. Measurements are wirelessly synchronized with the cloud and can be displayed on an iOS or Android smartphone or your computer browser. The A8100 is intended to track movements and daily activities of a wheelchair user, so that you get an accurate view of the activities you did. The solution also records the physical energy burned and distance driven. Your coach or fysiotherapist can follow your achievements and give you tips and advice how to improve. Track up to 7 days. Supported internet browsers: Internet Explorer, FireFox, Google Chrome, Safari, Edge. Synchronize your smartphone with your sen-sors to display the latest information. Get a summary of the day or more detailed insight in your activities and energy burned. You can also talk to your coach, add personal notes, set targets and see how your activities compare to other group members. 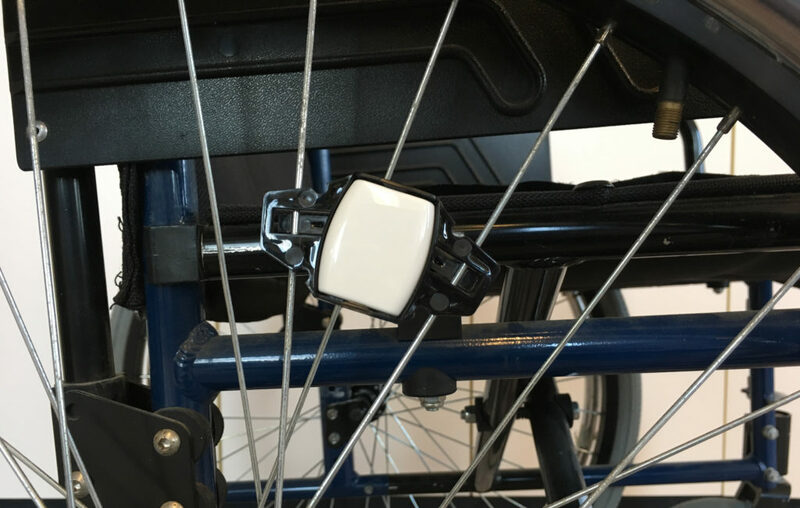 The wheelchair activity tracker can also be used without smartphone app. Synchronization is then done via the sync tool on a computer. The information is shown on your default Internet browser. The A8100 is based on algorithm development of Erasmus Medical Center in Rotterdam published in ‘Institute of Physics and Engineering in Medicine’, titled ‘Valid detection of self-propelled wheelchair driving with two accelerometers’ (H Kooijmans, H L D Horemans, H J Stam and J B J Bussmann). Product development and user testing is done in close cooperation with a committed team from Rijndam Rehabilitation in Rotterdam consisting of wheelchair users, physiotherapists, clinical doctors and researchers. This ensures a solution that works and meets the needs of both wheel- chair users and therapists. The A8100 wheelchair activity tracker is not a medical device.